Have you ever wondered if food intolerances are actually preventing you from reaching your true health/fitness potential? Learn how getting rid of the foods that disagree with you can shed the kilos, reclaim your youth, energy, sleep, exercise recovery and watch your body transform for the better! This is the full interview with Naturopath Tania Flack. Tania Flack is a leading Naturopath and Nutritionist, with a special interest in hormonal, reproductive health and cancer support; she believes in an integrated approach to healthcare, including the use of evidence based natural medicine. Guy Lawrence: Hey this is Guy Lawrence with 180 Nutrition and welcome to Podcast #17. In today’s episode we welcome back naturopath Tania Flack and we are pretty much covering the topics of food intolerances and it’s a fascinating topic and these are the things that could be certainly holding you back from some of the results you want; whether it be weight loss, exercise recovery, even how it affects our mood and sleep. And I want you to know what things you need to eliminate from your diet. It can have a massive effect on your wellbeing altogether and, so, super-interesting shows. 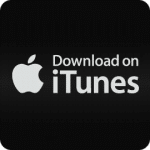 Lots, lots to learn from in this and, yeah, if you enjoy it, please share us on Facebook and if you’re listening to this through iTunes, a review in the review section would be awesome. Until the next time, enjoy. Cheers. Guy Lawrence: This is Guy Lawrence. I’m joined with no other than Mr. Stuart Cooke, as always, and our lovely guest today is Tania Flack. Welcome back Tania. Thank you for having us. Tania Flack: Oh, thank you. Thank you for having me. Guy Lawrence: So, just in case anybody hasn’t seen our old episode on the DNA, could you give us a quick rundown on who you are and what you do? Tania Flack: Sure, sure. I’m a naturopath and nutritionist and I practice in Sydney. I’ve got a special interest in hormone health, metabolic health and particularly DNA, which is the DNA testing and personalized health care programs, which is a new area for me and today I think we’re talking about food intolerances. Guy Lawrence: We are, yes. So…. Guy Lawrence: Yeah. We certainly been harassing you along the DNA and then we’ve moved over to food allergies and intolerances. So, and we thought the best place to start, because it’s something I was learning as well is: Can you tell us if there’s a difference between a food allergy, a food intolerance and food sensitivities? Tania Flack: Yeah. There’s a very big difference between a proper food allergy and a food intolerance. With food allergies it’s, they’re really not as common as we think they are, although we see a lot more these days, the prevalence of a proper food allergy in children with an allergic; being allergic to things like peanuts and ground nuts, shellfish, it’s becoming more and more common. But ultimately it’s about 2.5 percent of the population will have a proper food allergy. And intensive food intolerances, they’re much more common and people are less likely to realize that they’ve got a food intolerance, really, and this, the difference between the two is with a food allergy it’s a different part of the immune system and the reactions that they have are fairly immediate and they’re very severe inflammatory reactions based on histamine release and we see people with a sudden swelling, redness, swelling, hives; that type of thing and it can be quite life-threatening. What we’ve seen in intolerances, it’s a slower reaction and people are less likely to pin down the symptoms they’re having to the food that they’ve eaten because it can happen over a longer period of time. So, if you ate something yesterday, you might be feeling unwell the day after, it can literally be that time delay. Guy Lawrence: So, the testing that we did to Stuart, turned up eggs? Tania Flack: Yes. Sorry Stu. Stuart Cooke: I used to love eggs. Guy Lawrence: So, that’s a food intolerance, right? Not a food allergy. Tania Flack: No. That’s right. The testing that we do in Clinic; we’re lucky to have access to this testing, we can just do a blood sample from the end of the finger in Clinic and then we go through a certain process and mix that with different reagents, and that’s an IGG; food intolerance test. So, it’s very, very different to food allergy testing, which is something that would be done entirely separately to these. Guy Lawrence: So, somebody listening to this and they might be suspicious that they have an intolerance to food, what would be the classic symptoms? Tania Flack: The thing with the food intolerances is everybody is a little bit different and the symptoms can be quite broad. I mean, some people typically have IBS-type symptoms. That’s things like bloating, constipation, diarrhea, feeling unwell. Fatigue is a big part of food intolerance; skin problems, migraines, asthma, the list goes on. Everybody has their own particular manifestation of food intolerance. But, ultimately it can lead to people feeling very unwell and because those symptoms are delayed, I think that’s just the way they are, they can’t quite work out why they’re feeling so poorly and flat and having these types of symptoms and it can really just be due to the foods that they’re eating. Guy Lawrence: You mentioned before about nuts and shellfish. What would be the most common trigger foods be perhaps outside of those two that people might not aware that they are sensitive to? Tania Flack: Yeah. Nuts, the ground nuts and the shellfish are two of the most common triggers for a proper allergic reaction, an allergy reaction. In terms of food intolerance, there’s any number of foods that people can react to, really, and we’re looking at the proteins in foods that people react to. So, the tests that we do, test for 59 foods and it covers things like: eggs, fish, dairy, different fruits and vegetables people can be reacting to, so it’s a broader range of foods that people can react to with food intolerance. Guy Lawrence: How do you become intolerant of food? Is it; can you do it by eating too much of the same thing? Tania Flack: That’s a really good question. Generally there’s a leaky gut aspect in there somewhere and a dysbiosis which basically means an overgrowth or an imbalance of bacteria in the gut. And what that can cause is an opening of the gut membranes and as we eat these foods our bodies, more likely our immune system is more likely to react to those because we’re absorbing food that’s not broken down properly because our gut membranes are a little bit more open, if that makes sense. Guy Lawrence: Right, yeah, cause I’m just looking here, we have a question on leaky gut and … So, essentially if you have a leaky gut, then the chance of food intolerance is going to greatly increase. Guy Lawrence: Okay. Okay, Regarding testing, there’s another one, cause obviously we went in with you and tested; is this something most Naturopaths would be able to test accurately? And if we can’t test, then what can we do? Tania Flack: Most Naturopaths, we all have access to either pathology testing, which is involves you having blood test and then we have a wait for your results, but they’re very accurate. Or we can do a test that we do in Clinic, and that tests for 59 foods and we get results back from in 40 minutes and that’s very accurate as well. If that were to …. Guy Lawrence: Yeah, yeah, yeah, yeah, yeah. And I guess, and if somebody has an access to be able to test…. Tania Flack: Yeah. If you’re not able to go in and see someone and have these things tested, you can do an elimination diet. An elimination diet is cutting out a majority of the foods that people are intolerant to and over a period of time having a good break from those foods and over a period of time reintroducing foods that you think might be your trigger foods and observing your symptoms over a few days and if you have no symptoms after you reintroduce that food, then you move on to the next food. So, look at, it’s quite a lengthily process and realistically it can take around six months of being very disciplined with your diet to do this. So, this is why we prefer to use the testing methods, because they can give people information on the spot. Now if they, like Stu, prove to be intolerant to certain foods, then we cut those foods out of the diet completely for three months and we make sure that we address any dysbiosis or leaky gut during that time, let the immune system settle right down, heal the gut and then we slowly and carefully reintroduce and retest those foods. Guy Lawrence: So, you’re using Stuart as an example and he could end up eating eggs again, but just not at the moment. Tania Flack: Yeah, not at the moment. I would imagine that ….. Guy Lawrence: I enjoy raising that every time. Tania Flack: It’s not as strong reaction with Stu. We might need to give him a longer period of time before we attempt to re-introduce those. But hopefully we can make a good impact and some people they’re best to just continue to avoid those foods. And this the beauty of being able to pinpoint exactly what it is, because then we can do that trial and error later on down the track when things settle down to see if you can tolerate them. Stuart Cooke: Sure, and I guess for everybody at home who thinks, “Oh boy, he can’t eat eggs.” I never used to have a problem with eggs until they because much more of a staple of my daily diet and I was consuming a minimum of three eggs a day and they were organic and they were free-range so they were pretty much as good as I can get. But then I just found out that I was, yeah, my sleep was declining, I was bloating, my skin was starting to break out and then, yeah, I got the really dark blue dot on the eggs, of which we’ll overlay this graphic as well, so at least we could see what we were talking about. So, yeah I guess it is too much of a good thing. Tania Flack: Yeah, look at, it’s a bit devastating, really. I was very sad to see that I cannot cook eggs for you, because to me they’re the perfect protein. However, it could have been that you had other food intolerances, which we’re fairly sure of, and then you had this potential for a dysbiosis or a little bit of leaky gut in there because we hadn’t done that before with you. So, you got this going on in the background and then all of a sudden you increased your intake of eggs and now they’re a constant for you. So, I’m assuming over time that this intolerance is just developed for you. Guy Lawrence: Yeah and I guess the one thing I have found as well is, you know, once you sort of go on this journey and you want to eliminate sugar, and gluten, and grains and whatever that may be, you almost, I mean I’ve certainly found, especially in the beginning, I was eating the same bloody foods every day, because I was in this place where I was like, “Oh well, I don’t want to eat that ’cause I know that’s something to have with that.” So then obviously the foods increase. So when I went in for the gut test; not the gut test, the tolerance test, I was bracing myself expecting to be same as Stewie with the eggs, but fortunately I wasn’t, so I’m still eating them. Stuart Cooke: Thank you, Guy. Tania Flack: And I think this is a very important point. Some people that, you know, I see people in clinic and they have got a big history of significant health issues and really significant digestive issues and they’ve been put on an eliminating diet or they’ve been put on a very restricted diet and to the point of where they ultimately, they don’t know what to eat. It can be can be overwhelming because they’re on a very limited diet and some people actually end up with nutritional deficiencies because it’s not being pinpointed within the specific foods that they are intolerant to. So, it’s the beauty of knowing exactly, because otherwise people on long-term elimination diets, they can ultimately end with nutritional deficiencies, because they’ve cut out huge range of foods from their diet that they are not actually reacting to and so this is why I always prefer to have that information in front of me, so then you can really work with people, so they get a broad range of foods, there’s always a broad range of foods, even if you’ve got multiple intolerances there’s lots of things we can choose from and it’s just educating people about how to eat well while they’re cutting those things out of their diet. So, if for example, Stu, I know eggs have been such a big part of your diet, that you’ve managed to come up with all this fabulous creative breakfasts that are really different to what you were having, so yeah exactly and it’s not like your life is over because you can’t have eggs. You know it’s all a matter of having that background in nutrition that you can make those good choices. But some people they just aren’t certain, so they narrow it down to nothing and then this can cause problems in and of itself. Guy Lawrence: Yeah. Well, we’ve been doing featured blog posts of food diaries of certain different people. Like we did Angeline’s, she’s a sports model, what she eats. We’re just about to do Ruth, a CrossFit athlete. We need to do Stu; you know a day in the life of what Stu eats. Because it is absolutely with so much precision it blows me away. Stuart Cooke: Absolutely. I’ve created a seven-day plan that alternates all the different food groups and mixes it up and I’ve looked at the healing foods, especially for gut and I’ve made sure that I’ve got “X” amount of these throughout the day and I’m lovin’ it. I’m embracing sardines too. Tania Flack: I know. I think that’s fabulous. Sardines are wonderful. You know it just goes to show that you should never get to a point where there’s nothing you can eat. Tania Flack: You just have to really open up your dietary choices a little bit more and in that way you’re actually getting really good variety, which is perfect. Tania Flack: Yeah. It’s wonderful, isn’t it. So, the alkaline and anti-inflammatory diet that you have. Stuart Cooke: Yeah. Absolutely. Yeah. I’ll pass it on to you Guy. Guy Lawrence: I can’t wait to follow your food plan …. Stuart Cooke: Yeah, that’s right. Mr. Omelet over there. I’ve got a question about moderation and we often hear the term “every thing in moderation.” Is this good advice for allergy and intolerances? Do we have to completely omit the particular trigger food or can we have just a little, every now and again? Tania Flack: Well, in terms of allergies, yes. There is no choice. People with a proper allergic reaction they must avoid those foods. There’s no getting around that. That answers that. But, in terms of intolerance, the system that we use is when, for example, you’ve shown up to be intolerant to eggs, so you avoid those for three months and during that time yes, it’s important to avoid those as much as possible. Because we want to let your immune system settle down, we want to give your gut a chance to heal and everything to settle down and then we have a more controlled approach to a challenge period with those, after three to six months. So, yeah, I think for those with really strong reactions that have shown up in your test, then yes it’s important to avoid those. However, if after that period of time, we’ve done all that work and we do that challenge period and things are a lot less or minimal, then I would say, we’ll have a period where you reintroduce that food, with a long break in between and just see how you go with that. Guy Lawrence: Yeah, just testing. Tania Flack: Absolutes shouldn’t mean that you can never eat another egg, but means it means that you have to respect it for the time being and let everything settle down and do that appropriate wait before you start get back into your own omelets. Stuart Cooke: Yeah. I’m on the hunt for ostrich eggs, so I’ll see how it goes for me. I’ll make the mother of all omelets and I guess, on a serious note we probably should be mindful of other foods that do contain that trigger food. For instance, mayonnaise, dressings, things like that. Tania Flack: Absolutely. You really have to watch out for all of those things though, particularly something like eggs, it’s used in so many pre-prepared foods, which we know you don’t have a lot of, and you know my policy is to eat fresh wherever you can. So, it you can chop it up and cook it from its natural state then at least you know what you’re eating. But, when you have a diet high in processed food there will be eggs in a lot of that. Guy Lawrence: Okay. So, if you have a high intolerance to something like eggs, like Stu, and then you’re out and you’ve order a salad and it’s got a little bit of mayonnaise in it and you think, “ah that’ll be all right, it’s just a couple of teaspoons,” was that enough to really affect you? 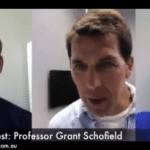 Guy Lawrence: Do food intolerances affect weight gain and/or weight loss? So, people that when they get to their fighting weight and need to drop a few pounds and it’s an intolerance of food that they’re eating and could that be prevented regardless of what they do? Tania Flack: Yeah. Absolutely. Look, I think there’s quite a few aspects involved in that and I think with food intolerance you’ve got to understand that it’s an activation of the immune system and even though that’s a low-grade activation of the immune system, but it’s still there. So, in and of itself it is an inflammatory condition and I think that can really hamper metabolism. Often it’s related to dysbiosis and leaky gut and we know dysbiosis or an overgrowth bacteria in the gut interferes with insulin signaling and there’s some really fantastic evidence that’s coming out and has for the last couple of years that shows that this virus is directly linked to obesity and Type 2 diabetes, that type of thing. So I think, in terms of food intolerance, often they go hand-in-hand. Guy Lawrence: Right. It always keeps coming back to the gut doesn’t it almost? Tania Flack: Yeah. Absolutely. So much of it is about how it’s based around the gut. Because if you think about it, we’ve got this enormous long tube and around that digestive system is our immune system and they’re like standing on guard, like border patrol, waiting for things to get through that shouldn’t be there and dealing with those. And so it’s an amazing machine, the digestive system, but when we react with the digestive system because it’s such an important organ in the body it can have so many bigger effects across the system it affects. Guy Lawrence: So, with food intolerances it also then affects sleep and mood. Guy Lawrence: It must affect mood because Stewie has lightened up lately, he’s just been great the last couple of weeks. Stuart Cooke: I’ve lightened up because you’re leaving the country at the weekend. It had nothing to do with food. Tania Flack: It definitely does affect mood. I mean; I think Stu can attest to these, because once you’ve removed a food that your intolerant to, your energy levels leaped, you feel fresher and brighter, you have a bit better mental clarity, you just feel a lot fresher, so I think that counts for a lot. Guy Lawrence: Yeah, and another question, while we’re on this sort of area, is of course, exercise recovery and food intolerances. Will it hamper recovery and slow it up? Tania Flack: Absolutely and again that all goes down to this activation of the immune system and low-grade inflammation. Low-grade inflammation hampers exercise recovery. It absolutely hampers exercise recovery, because your body’s, it’s dealing with this low-grade inflammation and it’s returning fluid, so you’re having a imbalance there. If you’ve got this perpetual irritation of the immune system through food intolerances, so by clearing that you’ll feel that your energy levels will improve and that exercise recovery will certainly improve. Stuart Cooke: A little bit of a kind of crazy question, but irrespective to allergies, are there any foods that you’d recommend that we absolutely do not eat? Tania Flack: Well, all processed foods. I mean, in a perfect world, again it comes back to if you can chop it up from its natural state and cook it and eat it, then that’s the ideal for me. So, processed foods in general, if you can avoid them, because we just don’t know. We eat things in our processed foods that we would never willing choose to eat otherwise. But apart from processed foods, things that I think people should avoid in general; gluten, I think ultimately that’s a really; wheat can be really irritating grain. It’s a prime inflammatory gain. It doesn’t suit a lot of people. So, I would minimize it in the diet and I tell my patients, even if they’re in good health, to try and minimize that. I think our western diets are far too skewed towards that type of food in the diet and grains. Guy Lawrence: Yeah. Strangely addictive, too, and you almost don’t realize that wheat, in all of its forms, has a hold over you until you eliminate it. Tania Flack: There’s a theory around that foods that I read you can cause a little bit of an endorphin release as your body tries to deal with those, so you can start to become really reliant on that. Like, sometimes you can be attracted to the foods that suit you least. Stuart Cooke: Okay. That’s interesting and I guess probably …. Tania Flack: That’s entirely different. Stuart Cooke: A shift, also perhaps to pasture-fed and raised animals as well. Because I guess if you try to eliminate grains and you’re eating a lot of grain-fed steak, then it’s going to come through that way as well, isn’t it? Or, if you try to eliminate corn and you’ve got corn-fed animals. Tania Flack: Yeah and not to forget too and that’s a fairly unnatural food source for those animals. So, yeah. Absolutely. Stuart Cooke: Yeah. It’s kind of we are what we eat. We’re also what our animals have eaten as well. Tania Flack: Yeah. It’s all part of the food chain, isn’t it? Stuart Cooke: It is. It will end up somewhere. Guy Lawrence: So, what foods would you recommend that we eat to the help heal the gut during the phase of trying to rebuild ourselves? Tania Flack: If you been trying to have a dysbiosis or leaky gut, along with food intolerances and generally it all goes hand in hand and we test for that in Clinic. Looking at foods that, you know, depending on the level of that, we try to aim for slow-cooked foods and foods in their most natural source so your body can utilize those nutrients as easily as possible. Foods that are high in zinc. We also use supplementation things like: Aloe Vera, glutamine, zinc, that type of thing. The healing and calming for the gut. Stuart Cooke: Right. Okay and you spoke before about process or at least a time before you can reintroduce and that’s around the three-month mark. Guy Lawrence: There you go. So, yeah, I was just looking at the supplementation to assist, speed up the healing process, but I guess we kind of covered that a little bit which they kind of go in hand. A great topic and I threw it out on Facebook and I haven’t checked since. What are your thoughts on soy? Especially where weight, hormones and skin are involved. Tania Flack: Well, you know it’s interesting, of the traditional use of soy, nutritionists saying a lot of the Asian cultures, is it would be included in small amounts in the diet and that diet would be really well balanced with other nutrients and it would be an appropriate source of fiber estrogen, so those. Lots of benefits of soy taken in a diet like that. So, as a whole, however, unfortunately in the west we tend to do this, we’ve taken that concept and completely blown it out of all proportion and the soy that we use these days, it’s genetically modified, which I’m absolutely against. I think we can’t know what’s going to happen with that in years to come, so to avoid all genetically modified foods is a really good thing too, it’s a good policy to adopt. So, a lot of our soy is that type of soy and unfortunately people think that they’re adding soy to the diet, which is things like soy milk; now soy milk is a highly processed food, there is no way that you can make a soy bean taste like soy milk without putting it through the ringer in terms of chemical intervention. So, people think that soy is healthy for you and in that traditional Asian well balanced diet; it does have its benefits. However, the way we look at it in the West, and we take this food and we tamper with it to the point that it’s unrecognizable and then it’s genetically modified as well, and then we have a lot of it and its not balanced with all the other good foods in a diet, I think ultimately soy like that is a bad idea. And then because people might be drinking gallons and gallons of soy milk, then it can cause problems in terms of its affect on hormones. So, ultimately soy in that way, I absolutely think it’s best to avoid it. Guy Lawrence: So, that’s what they also add, sweeteners to the soy milk as well just to make it taste …. Tania Flack: This is right. This is right and then they also add thickeners and colors and that type of thing as well and some of the thickeners that they add, you both know my particular bug bearer is, carrageenan, as a thickener in these milk substitutes. You know ultimately that’s been linked to inflammatory bowel disease and even though it’s natural, it’s not something you’d want to be having a lot of either. So, I just think any of those foods that are highly processed, you just; there’re things in there that you wouldn’t choose yourself if you knew. So, I think those need to be avoided, if you can. And certainly I think foods like that can contribute to an unhealthy gut. Stuart Cooke: Okay. Getting back to wheat and people trying to eliminate wheat and of course the big one is bread; are gluten-free products, bread for example; gluten-free bread, are they a healthily alternative? Tania Flack: Well, generally speaking for most and often I have said to people we have to eliminate gluten from their diet and people just about burst into tears. They are, “what will I have for breakfast? If I can’t have my Weet-Bix or my toast, then I will starve to death.” So for people like that I guess a gluten-free bread is a softer alternative, however, ultimately they can be quite processed as well. So, I’m not saying don’t eat any bread ever, gluten-free bread is your better option. But ultimately, again, it’s a processed food, so in a perfect world we would eliminate a majority of the intake of that type of food. So, gluten-free is a better alternative, but ultimately . . . Guy Lawrence: You could almost use it as a stepping stone to get off the bread all together, couldn’t you? Tania Flack: That’s right and I think that once people realize that there is not over and they can have toast and Vegemite or whatever it is, then they start to get a little more creative and then they realize when they cut a lot of that out of their diet, they actually feel a little bit better and then it’s a slow journey for some people, but it’s really worthwhile. Stuart Cook: Elimination of diary. Okay, so, lots of people are reactive. If we strip the dairy out of our diet, how worried would we be about lack of calcium, brittle bones and everything else that accompanies that? Tania Flack: Yeah. That’s actually a question I get a lot in clinic and it’s a valid question and it’s interesting because we think that dairy is the only source of calcium and ultimately if somebody’s coming in, they’ve come to see a nutritionist or naturopath, and they’ve been shown to be intolerant to dairy, we would never say, “cut that out” and let them walk the door without information on how adequately address their calcium needs in their diet. And you can get calcium from a lot of sources and you’ve got to remember that there’s a lot of cultures that they really don’t have dairy. So, they probably have a better bone density then we do. And the other thing to think about with that is that if we got a highly acidic diet, which is what a typical western diet is, then we have a greater requirement for minerals like calcium, because they alkalize everything and we have a very narrow window of pH that we can operate in. So, in a typical western diet, we have a greater need for calcium because we’ve got all of these low-grade acidic type foods in the diet. So, if you alkalize the diet and if you have a really good quality sources, board sources, that give us our mineral such as calcium, then there shouldn’t be a problem if it’s managed well. Guy Lawrence: What would be a couple of good alternatives if you couldn’t have dairy? What could bring in for instance? Tania Flack: Things like nuts and seeds. I mean, Stu’s got the perfect, perfect calcium source there; it’s sardines with bones in it. You just can’t get a better calcium source, green leafy vegetables. We’d probably find if we did an analysis of Stu’s diet that his calcium sources are perfect, so, without having diary in it. So, there’s definitely ways that you can get around that. Guy Lawrence: So like you said, you have to eliminate the stresses from the body as well and at the same time bring in the foods, outside of dairy, to do that. Guy Lawrence: Well, while we’ve got time we’ve got a couple of questions for you that we always ask everyone. If you could offer one single piece of advice for optimum health and wellness, what would it be? Tania Flack: I’d have to say that the one thing that I think makes huge difference to everybody is just to eat fresh. Just handle foods as close to the natural state as you can. Cut them up and cook them and eat that. Try to stick with what your grandparents ate. Try to avoid processed foods and eat as close to the natural source as you can. I think that stands people in really good stead if they can continue doing that throughout their lives. Guy Lawrence: Which it seems hard at first, but it’s actually not that hard once you …. Tania Flack: No, it takes just a little bit of change of mindset and I think it’s a slow process for some people, but ultimately your health is your most precious commodity. So, it takes a little bit of effort and if that effort is shopping for fresh food and chopping it up and cooking and eating that; if that’s the main effort that you’ve got to do, I think that’s a low price to pay for something so precious. Stuart Cooke: That’s right. I think it’s just a little bit of a kind of shift in the way that you do things and if you need an extra five minutes to prepare breakfast, then just make that happen and the dividends will pay off for sure. Tania Flack: Yeah and it’s also giving people the confidence to be able to do that. Just making good food choices and once people have got that, then they generally are on a good path. Guy Lawrence: And if people want to find out more about food intolerances, just contact you through the website, Tania? Tania Flack: Absolutely. Contact me through the website. I’m happy to give people advice and as I’ve said, we’ve got that test available now; we can give good results within 40 minutes. So, we can give them a really clear plan within an hours’ appointment and that gives them somewhere to go and it can make big differences to how they feel. Guy Lawrence: Fantastic and for anyone outside of Sydney, is there something that you can get done by mail? Post off? Or is it something you search …. Tania Flack: We can do the blood test by post; so I can send them out a pathology request form just to have the blood test done by post. Tania Flack: So they can take it into their local collection center and we can discuss the results on line. So, yes, everybody should be able to have access to it. Stuart Cooke: That was awesome. Stuart Cooke: Excellent. Yeah, no look that’s great. Just super-interested to spread the word because once you realize what these little triggers are, that are kind of niggling at you sleep and your energy levels and your skin and gut health, you just feel so much better; so fantastic. Tania Flack: And I’m also glad, I’ve got to thank you for bringing this issue up Stu, because I know that you’ve been wondering about that for a while and it’s great to get the word out there because it can make a big difference and it can just be something as simple as cutting out 1 or 2 foods and having a slight change in diet can make you feel so much better. Thank you for bringing it out. Stuart Cooke: All right, thanks for your time and yeah, we’ll get this up on the blog as soon as we can. Tania Flack: Fantastic. All right, thanks guys. Stuart Cooke: Okay, thanks. Bye, bye. 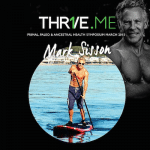 Mark Sisson Is In Sydney. Will You Be Joining Us At The Thr1ve Me Event? I too have just discovered I’m egg intolerant and am pretty devastated! It was one of my main protein sources as I don’t eat a lot of meat. I have definitely been feeling a bit lost as what to eat now? I keep finding myself eating way more carbs now. Any suggestions? What I have learned is that some people can be intolerant to the egg whites not the yolks. It maybe something worth looking into. How does emotions or past trauma play into food intolerance? I used to love garlic and onion, but that one makes me so sick (probably food intolerance). I can’t even smell onions cooking or my immediate anger level rises drastically and quickly. I’ve done tons of trauma healing deep work, but still struggling with this food intolerance. Wish I lived over there because I’d go see her. I’d recommend that you take this up with a local naturopath and potentially look into having some gut health testing. Cheers. Ps. We also did an interview with Dr Bruce Lipton that talks a lot about emotions and healing traumas.